Hello folks, this is Brandon Willis and I am the new online writer at the OCCC Pioneer. I’m a big basketball nerd and avid sports fan in general so I decided to write a daily blog over all things basketball, especially over the NBA. You can email me at onlinewriter@occc.edu if you have any topic ideas for the blog or responses. 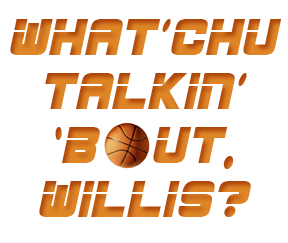 I must warn you, I speak in basketball terms so you might not always catch my “basketball slang”. I will say now that I am a Miami Heat fan but this blog will be opinionated but unbiased. I’m ready to get started so this is a little sample of what I saw from game one of the Eastern and Western Conference Finals in the NBA. I will start off with the least interesting game between the Miami Heat and the aging Boston Celtics. Some chalked this up as a loss for the Celtics before the tip because Boston had just come off a hard fought series with the young and scrappy 76ers. Boston looked a step slow last night in all areas. All loose balls went to Miami and that of course led to SportCenter Top Ten plays. Lebron had an average game of 32 points 13 rebounds and 3 blocks. No big deal. Game two will take place on Wednesday and I believe the Heat will come out on top again and I believe the Heat will win the series in five games. Now to the interesting stuff: OKC fell to the Spurs in game one on Sunday night. I thought the Spurs stole one from the Thunder. The Thunder were in control of the game til about midpoint in the third quarter when Manu started to play like he was back in ‘07 again. Thabo tried to stem the tide by agitating Manu on the defensive end but it was to no avail. The Big 3 for OKC really struggled throughout the game which is scary because they held the lead for most of the game. Harden did not get to the free throw line which really gets him going offensively. In the second half you could tell Harden was forcing it. Westbrook had a small period in the third and fourth where he was forcing shots and over dribbling. The OKC offense became stagnant because it was all based off getting Kevin Durant open which sounds easier said than done. Stephen Jackson was velcroed to KD’s back so wherever he went Jackson was there to bother all clean possessions. This has been my biggest gripe with KD: he struggles against big physical defenders who take away his catches. Jackson is 6’8 and very physical so KD is being pushed around and if the refs allow it then why not keep doing it? Scott Brooks needs to find a way to get KD some on the move hand offs that can get KD’s momentum going towards the basket. Isolations have never and will never work against the Spurs especially when you have two useless offensive players like Perk and Thabo who the Spurs can help off of. Game 2 takes place tonight and I believe the Thunder will steal home court advantage tonight behind a big game from James Harden aka the X factor. Look out for my blog tomorrow which will analyze the Game 2 of the Western Conference Finals.